Tbilisi – Zugdidi – Mestia Zugdidi is a city in the Western Georgian historical province of Samegrelo. Visit Dadiani Palace, belonging to the former dukes of Samegrelo. Today more than 50 000 rare exhibits are on display at the museum. Among its collection of relics of European monarchs and imperial families there is a death mask of Napoleon Bonaparte. The museum also houses the relics of Christian saints. Drive to Mestia. Overnight in Mestia. Martvili – Tbilisi Martvili – is a small town in Samegrelo – Zemo Svaneti province of western Georgia. Visit Martvili Monastery (7th century) in the Middle Ages the Martvili Monastery was a centre of culrural and education. It attracted many writers, translators and philosophers. Back to Tbilisi. Gonio Fortress Drive to Gonio Fortress - is located 12 km south of Batumi on the left bank of the River Chorokhi, it is a real paradise for lovers of historical and cultural antiquities. 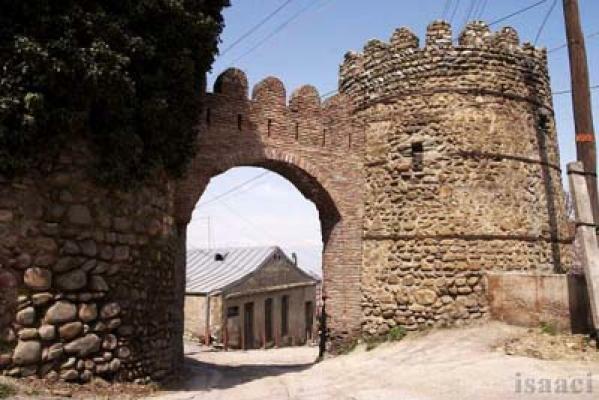 Historically, Gonio-Apsaros Fortress had a unique strategic importance: It protected the entrance to the Chorokhi and Acharistskali gorges, which connected the south western inlands to the Black Sea littoral. It was this important location that made Gonio Fortress into one of the citadels of both the Roman and later Byzantine Empires. Drive back to Tbilisi.